Why this hotel? Top seller. Stylish rooms. Close to the gay scene. Free WiFi. 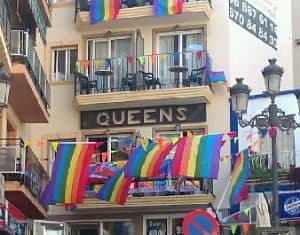 One of Benidorm’s best hotels in its class, located on a quiet pedestrian street, close to the beaches (Levante Beach 100 metres) and a few minutes’ walk from the Old Town gay village. 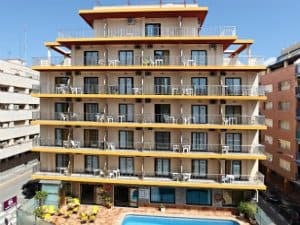 Each modern guest room at Hotel Fetiche Alojamiento features a bed with memory foam mattress, 32″ flat screen satellite TV, safe and a minibar, stocked with free water and soft drinks. fabulous location for the gay bars! tristan | Reply	Problem with this review?